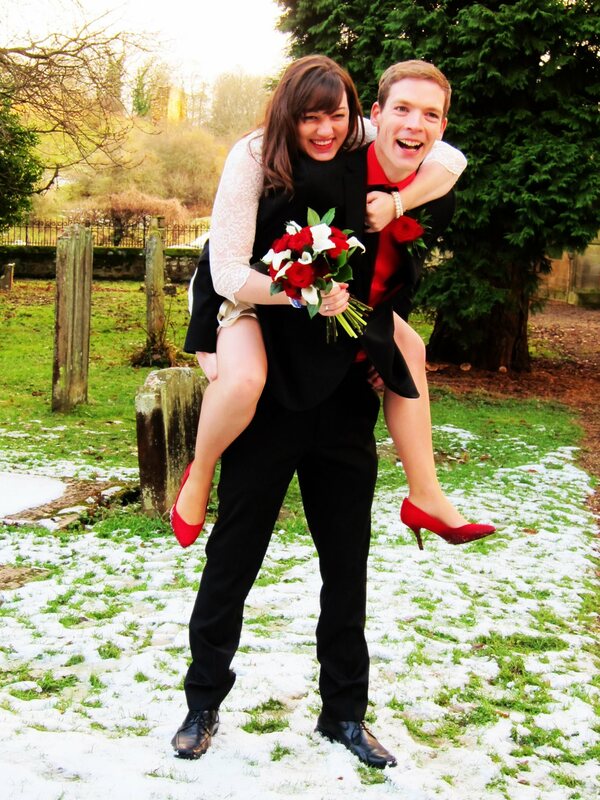 I am really excited to share this post with you! As some of you know I’ve lived with Type 1 diabetes for 27 years. 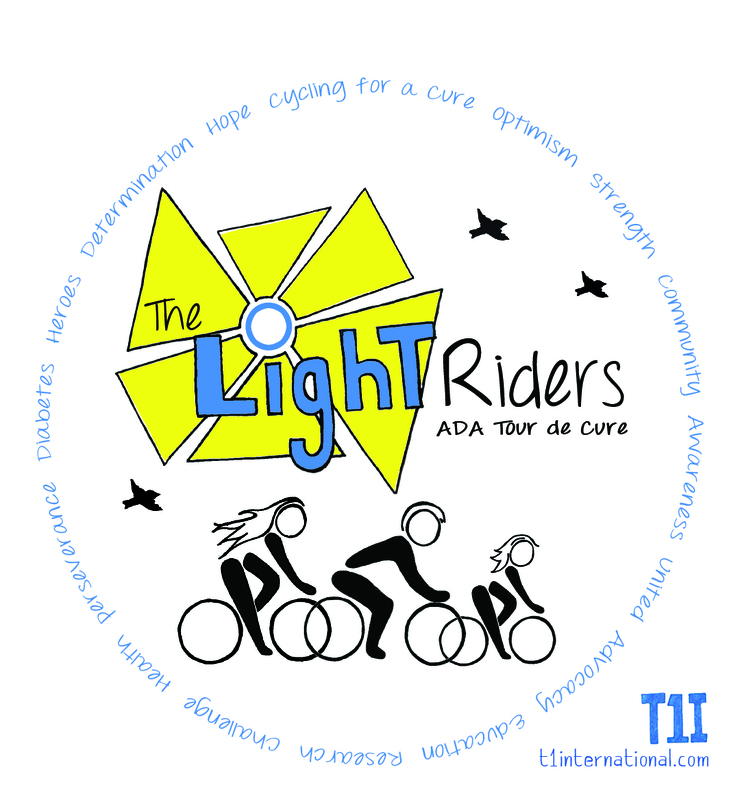 The last 4 years I’ve participated in a fun cycling event that is a fundraiser for the ADA (American Diabetes Association) called the Tour de Cure. Last year I started my own team — The Light Riders. (Notice the connection?? Diabetes Light & The Light Riders? I love Light!! What can I say?! :)). Jaim actually thought of the team name when we were on a bike ride the summer before… And I loved it so we went with it! In 2013, we not only raised almost $8,000 for diabetes advocacy, education and research but it was a great time and I felt so supported having friends and family around me rallying for a cause (health condition) that affects me so much every day. I had lots of ideas in my head about what I envisioned for our design. I LOVE birds and knew a few of my good T1 friends on the team do as well. “Just put a bird on it” (from the show, Portlandia). Yup, pretty much… 🙂 I also wanted to feature the blue circle which is the international symbol for diabetes awareness. This ride to me is about coming together as a community to cycle — not only for important diabetes causes that impact us all but for the benefit of our health (cycling is really good for blood sugars!). I wanted the design to reflect the beauty of a group of individuals (The Light Riders!) gathering to accomplish this. Lastly, I just wanted it to be a bright, fun and happy shirt. One that as you look in your drawer at all your shirts say, “I want to wear that one!” And it just feels good to wear it. You know what I’m talking about! Everyone has that favorite t-shirt they love and just feel happy all day with it on. I am pleased to share that I believe we accomplished all of these things and more! Important to note is that I was just the one with the ideas and vision for what I wanted created, and Elizabeth and John are who put my vision into this beautiful design. I cannot wait to get this printed on a cozy, soft organic t-shirt very soon at a local shop and wear it all the time! Thankfully, a few of my teammates who saw the design were just as excited and want to wear their t-shirt around town too! Here it is! What do you think?? I love it so much! And it could not be a better fit for what I had in mind. You can see also that she incorporated the words I used in email conversation with her about what the Tour de Cure means to me and placed them in the awesome blue circle around the design! I love having not one, but two blue circles in my design for diabetes awareness! Here is a little blurb about Elizabeth and John at T1International and the part they each play in the creation of my design and the artwork featured in their T1I Marketplace. They are also available for individual consultation and design work as well as for any artistic or design needs you might have! I’d also like to share that Elizabeth, who was the one I communicated with during the design process, was extremely easy to work with. She was always polite, friendly and prompt offering many great ideas and suggestions as we communicated back and forth. She was also very open and accepting of the many ideas and changes I brought forth — most recently at the end when I suggested changing one of the cyclists to a child not only to reflect the large amount of children living with Type 1 diabetes but also the young T1 riders on my team! Take a look at the artwork on her page to support a very worthwhile cause and check out her blog too. I have always been very passionate about helping those less fortunate in other countries and this is Elizabeth’s and John’s passion — a definite necessary component of diabetes advocacy as we each reach out in different ways to help others. Thanks for all you do Elizabeth and John to help make the world better for others and for the lovely and perfect design you created for The Light Riders. Lastly, leave a note on Facebook or as a comment on this blog post with your email address or send me a private message on Facebook if you are interested in ordering a t-shirt for yourself (whether you are a Light Rider or not). I do not have more details at this time, but can get in touch with you once I find out more. In 2011 I participated in my first ADA Tour de Cure. A friend I used to work with, Janae, was deeply involved with the event and loved everything about it. She told me all about being a Red Rider (rider w/ diabetes) and convinced me that the Tour de Cure was something I needed to do. She also talked to me about the volunteer opportunities available and encouraged me to help out. I was sold. I signed up for the Tour only a few short weeks before the ride. I also started volunteering my time to help make the ride better for all fellow people with food allergies. Editor’s note: This is a guest post for the American Diabetes Association. It will be featured in the ADA Tour de Cure’s Twin Cities July Red Rider Reader. Hello Red Riders! How is your summer going? 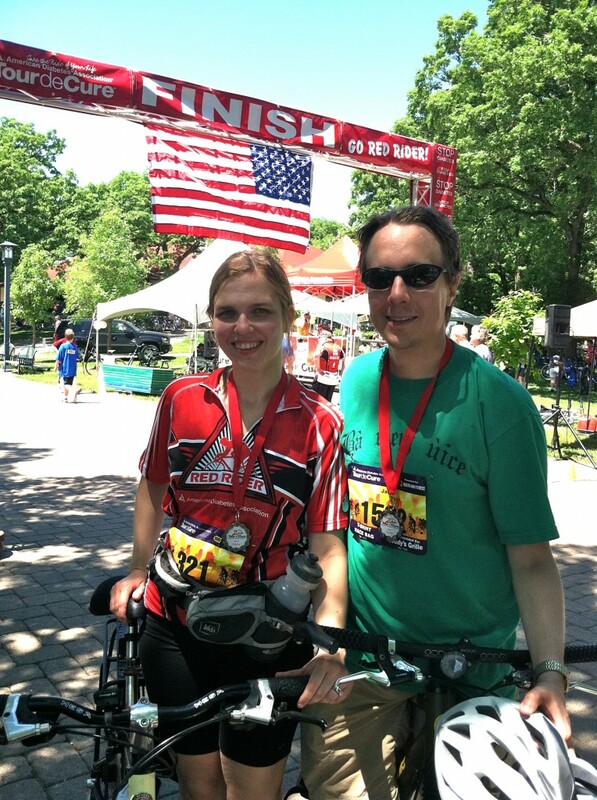 Did you enjoy the Tour de Cure this year? I had a blast! It could not have been a more perfect day – weather wise and everything else too. Plus we raised a lot of money to help STOP diabetes. Yay! We had 1,805 riders and so far raised more than $630,000! Woohoo! It is wonderful to see so many people come together for a great cause. And as someone living with Type 1 diabetes I sincerely appreciate each person’s hard-earned efforts helping us move closer to a cure for diabetes. It fills my heart with so much gratitude and hope. I’m already looking forward to next year! June 1, 2013 is the date. Mark your calendars! I received a special request for this month’s recipe for the Red Rider Reader – ENERGY BARS!! I thought this was a great idea as we are out cycling and active this summer. A healthy energy bar is an ideal snack for anyone before, during or after cycling or any other exercise. Thanks for this fabulous suggestion Janeece Oatman! Janeece is the amazingly talented and passionate Associate Director for the Twin Cities & Rochester, Minnesota Tour de Cure rides.